Summer in London is here! 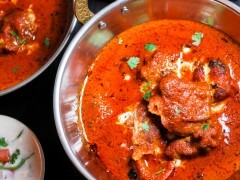 So we have decided to focus on a light but indulgent Indian recipe. 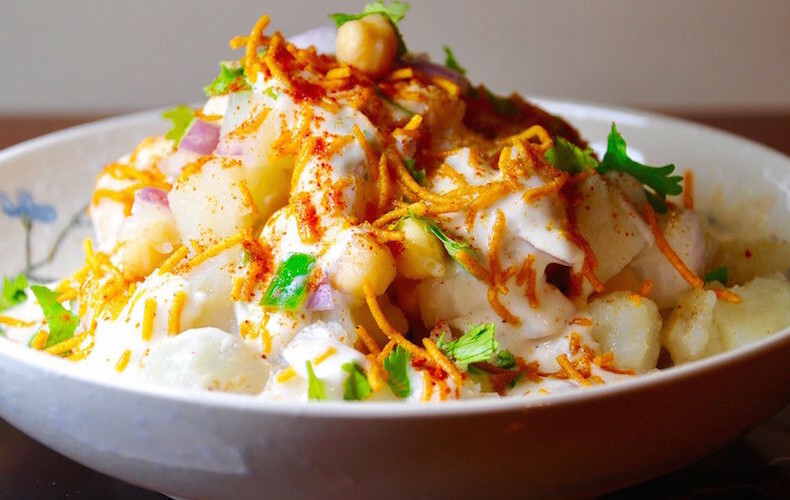 Dahi Chaat is a popular street food in North India. In this delicious recipe you will get the sweetness of curd, soft melt-in-the-mouth potatoes, crispiness of papdi and the Indian spices that add their own zing and spiciness to the dish! Take a plate and put a layer of papdis on it. Chop the boiled potatoes into small cubes. Once chopped put a layer of chopped potatoes on top of the papdis. Now add a layer of mung beans. Lastly drizzle the coriander, mint chutney and tamarind sauce on top. 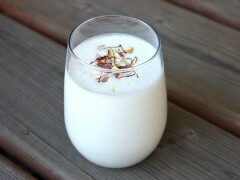 Take a large mixing bowl and add the beaten yogurt into it, whisk a little more until smooth. Add a pinch of salt and sugar and mix well. Sprinkle the chaat masala powder, cumin, chilli powder and a pinch of salt on top. Add the yogurt on top and garnish with coriander leaves. Serve and share with friends!